With certificate signed by Ian Pout and copy of 1931 telegram. Biglet is a replica of the early 1920s Farnell original in our museum in Witney. Other than being less ‘loved’, he is identical to Christopher Robin’s nursery companion. 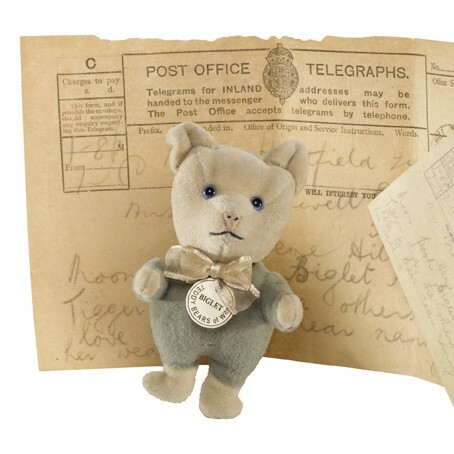 He derives his name from a telegram (also in our museum) written by Christopher Robin’s mother to his nanny. She wrote ‘Biglet’ (a pun on ‘piglet’ and ‘big’. Biglet is tiny! ), which we believe was the nickname used for him by the Milne family. 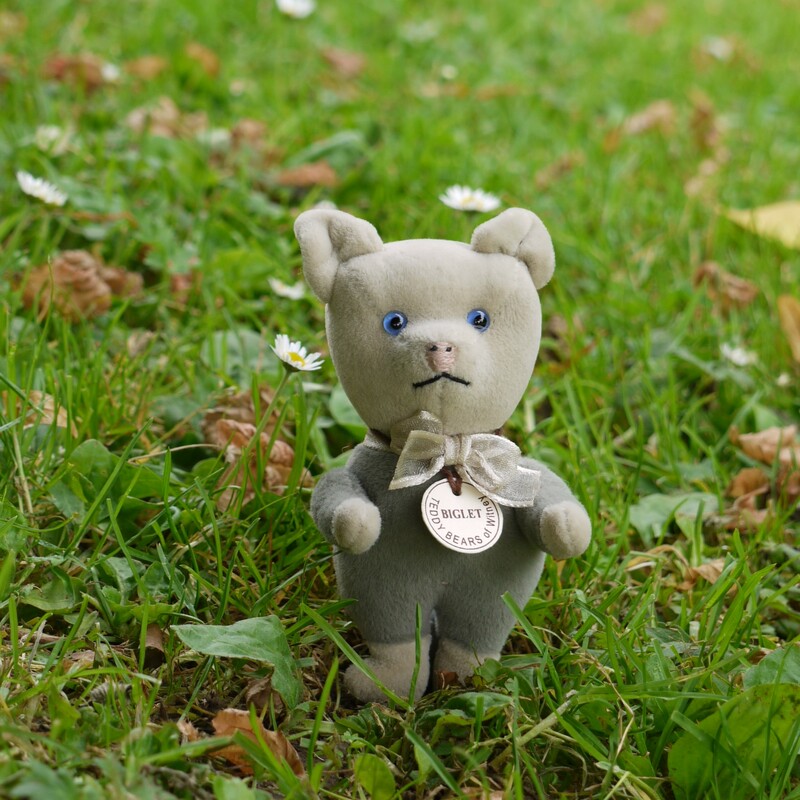 Like Christopher Robin’s tiny nursery companion, Biglet is made of gently coloured velveteen and is not jointed. His blue glass eyes, like those of the original, enhance his jaunty look. He comes with a copy of the 1931 telegram, which inspired his name.